Bags There are 90 products. 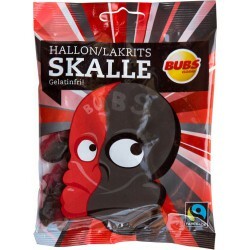 Believe it or not, you can find 15 meters of licorice from this bag. 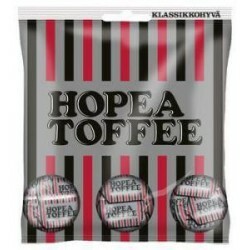 Classic salmiac flavoured licorice taffy candy. Assorted candy. Fruit and licorice mixture. 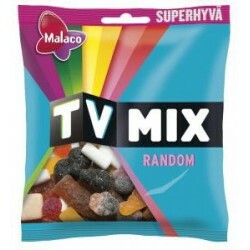 The TV Mix Show is a delicious mix of chocolate, fruit, foam and liquorice. 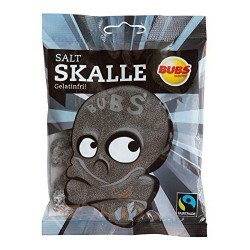 The sweetness of chocolate mushrooms, soft marshmallows and fruity wines is melting smoothly with green licorice grains. Kismet, an authentic and delicious chocolate wafer; words can't describe how good it is! Miniature versions of the much-loved Kismet bar are now available in bags. Enjoy on your own, share with friends or give them as a gift. Assorted candy. Sour and fruit. 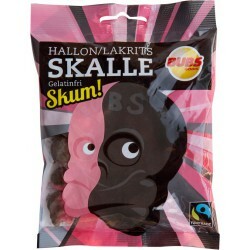 Worlds first licorice made of cricket powder!